Sometimes I chance upon stories that fascinate me and today was one of those days. In my “spam” folder–why it ended up there I have no clue–I found a copy of Mark Michelson’s column in the on-line version of Printing Impressions. It’s about Otto Boutin’s captivating book Otto’s Night Watch. 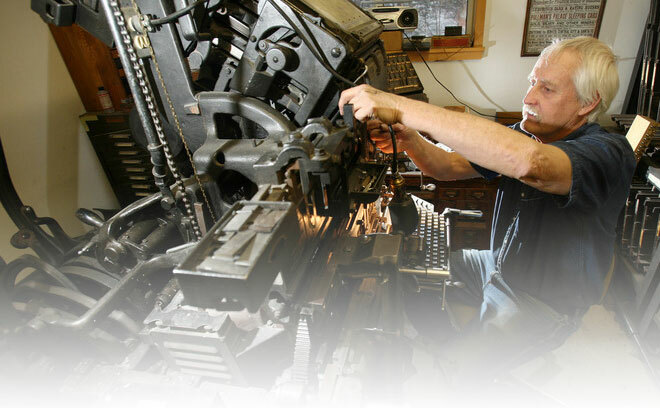 Michelson reproduces there “Love Letter to an Old Linotype” and reading it transported me back to the era when hot metal was king but was on the verge of being dethroned. Anyone interested in reminiscing about our old craft will find Boutin’s stories enjoyable reading. I found the book (a used one, but in great shape) through ABE Books, but there are other vendors out there, so look around and sit back for an enjoyable read.